Check out this five-video “top secret” tour of Disney’s upcoming 2D-animated film The Princess and the Frog, in theaters November 25, 2009 (Los Angeles and New York City) and December 11, 2009 nationwide. The Simpsons are back with The Complete Twelfth Season, arriving on DVD August 18th from Twentieth Century Fox Home Entertainment. The longest running animated series in television history, the latest DVD collection features all 21 episodes from the 2000-01 season including Bartâ€™s boy band odyssey in â€œNew Kids on the Blecchâ€ featuring Nâ€™Sync and a less-than-ordinary day for Homer, Bart and Lisa in â€œTrilogy of Error.â€ The season also features many other guest stars including Drew Barrymore, Edward Norton, Justin Timberlake, Stephen King, Andre Agassi, Pete Sampras, Roger Daltry and many more. All episodes are compiled on four discs (full frame, aspect ratio 1.33:1). Each episode is presented with English 5.1 Dolby Surround, Spanish and French Stereo and English, French and Spanish subtitles. Check out the cover art along with a breakdown of each disc, after the break. 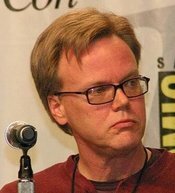 SUPERMAN/BATMAN: PUBLIC ENEMIES Blu-Ray versions will have more than three-and-a-half hours of bonus materials, including all the extras from the 2-disc Special Edition as well as two additional episodes of JUSTICE LEAGUE UNLIMITED and two episodes from JUSTICE LEAGUE, both personally selected by animator Bruce Timm. Pixar’s UP has reached a milestone that not many films reach; it has surpassed the $250 million mark in domestic ticket sales. This past weekend’s $13,061,737 helped bring UP’s total to $250,234,554. Add to that $35,364,786 from foreign ticket sales, and UP’s current worldwide total is a whopping $285,599,340. 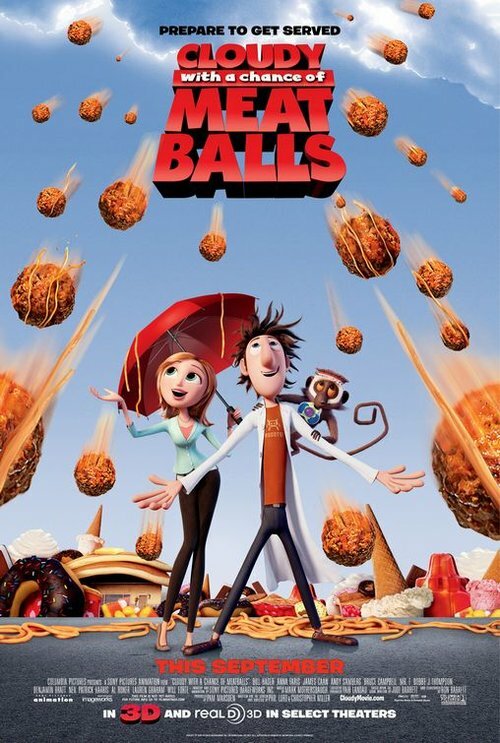 I should note, however, that UP has not been released in all foreign territories. In fact, between now and December, it will slowly release in various countries, ending with Japan in mid-December. Also, UP is now 2009’s highest grossing domestic film, surpassing Star Trek’s current $246 million total. Unfortunately, UP’s position in the #1 spot will be taken away eventually by Transformers 2, which managed to pull in $200 million in only five days! From the Academy Award-winning director and world-renowned Japanese animation legend Hayao Miyazaki comes PONYO, a story inspired by Hans Christian Andersenâ€™s fairy tale â€œThe Little Mermaid.â€ Already a box-office success in Japan, the films tells the story of a young and overeager goldfish named Ponyo and her quest to become human. Tim Burton’s Alice in Wonderland is a hybrid live-action/performance capture animated film that is a semi-sequel to the original Alice in Wonderland tale. Alice, now 17 years old, attends a dinner party only to find out she will be proposed to in front of hundreds of people. Afraid, she runs, following a white rabbit to Wonderland, the place she visited 10 years before but doesn’t remember. 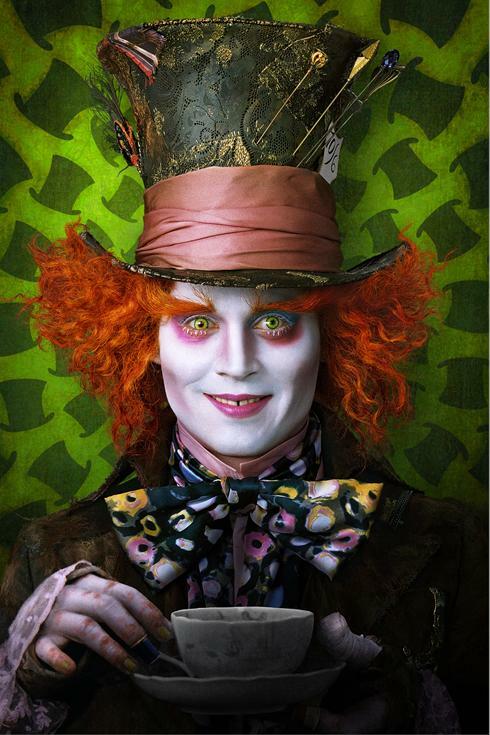 Johnny Depp stars as the Mad Hatter, while Mia Wasikowska plays the titular character. Rounding out the cast are Helena Bonham Carter as the Red Queen, and Anne Hathaway as the White Queen. The rest of the cast includes Matt Lucas as Tweedledee and Tweedledum, Stephen Fry as The Cheshire Cat, Christopher Lee as the Jabberwock, Crispin Glover as The Knave of Hearts and Alan Rickman as the Caterpillar. Witness these uncanny mash-ups of your most beloved toys from your childhood. Imagine Play-Doh, Cabbage Patch Kids, and Smurfs portrayed in movies by Ron Howard, David Cronenberg, and Peter Jackson. Cartoon Network’s newest animated series “Total Drama Action” premiered Thursday night as the most-watched program of the day on all television-broadcast and cable-among kids 6-11, kids 9-14 and boys 2-11, 6-11 and 9-14, according to Nielsen Media Research. 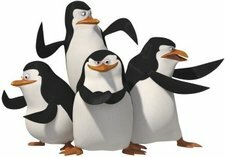 ‘The Penguins of Madagascar’ is a bonafide hit! Nickelodeon’s “The Penguins of Madagascar” averaged 3.7 million total viewers and ranked as the week’s top kids’ show on all of basic cable with the repeat performance of “The Hidden/Kingdom Come”. The Penguins Saturday morning airing of “Little Zoo Coupe/All Choked Up” ranked as the number-one telecast for the week with kids 2-11 on broadcast and cable TV. The show also ranked as the number-one animated series among total viewers for the month of May. Quarter to date, the show is the number-two animated show with kids, only behind SpongeBob SquarePants, and the number-one animated show with total viewers.